We have been blessed with the opportunity to have traveled to Maui, Hawaii for almost two months. Iñaki was competing in a windsurfing contest, The Aloha Classic (IWT), a life long dream, and I was blessed to enjoy motherhood and continue researching eco conscious brands. Upon arrival we came across a wonderful photographer…that took some of the pictures in this article….who not only did the shoot with us but also recommended some of the amazing brands we ended up collaborating with. Thank you Chelsea! If you are headed for Maui it is definitely worth it to capture this stunning place with some beautiful photographic memories. Maui was especially fun as we not only came across really inspiring brands but also made friends for life. Our first stop was Mana foods, of course we had to stock up for our adventures. Surprisingly the prices are quite similar to Los Angeles. Mana foods is also the place you can be quite entertained simply standing in front of the store, you may be serenaded by a harp or find yourself philosophising about God and the world, you know what I mean if you have been there. This is where we found our water source now we just needed to find the right container. We were so very blessed to meet Kayden, of Blue Bottle Love, we were taken into her humble abode. Surrounded by beams of sunlight filtered by the cobalt blue bottles ….making her home and workspace even more magical. Our meeting turned into a 5 hour extravaganza, including everything from Meditation to the whole story of how Blue Bottle Love came about. From that day on… at least one blue bottle (1 gallon:-) made it with us wherever we would go. The water tasted clean, conscious and simply delicious. Iñaki was windsurfing every day and getting ready for the competition, now the sun is strong in Maui so it was imperative we found the right sunscreen, that was reef safe to keep us all protected while making sure we were not harming our environment. That is when we came across Raw Love Sunscreen Jenna also received us in her home and explained to us about all the harmful ingredients sunscreens use and how they damage the reefs and coral. 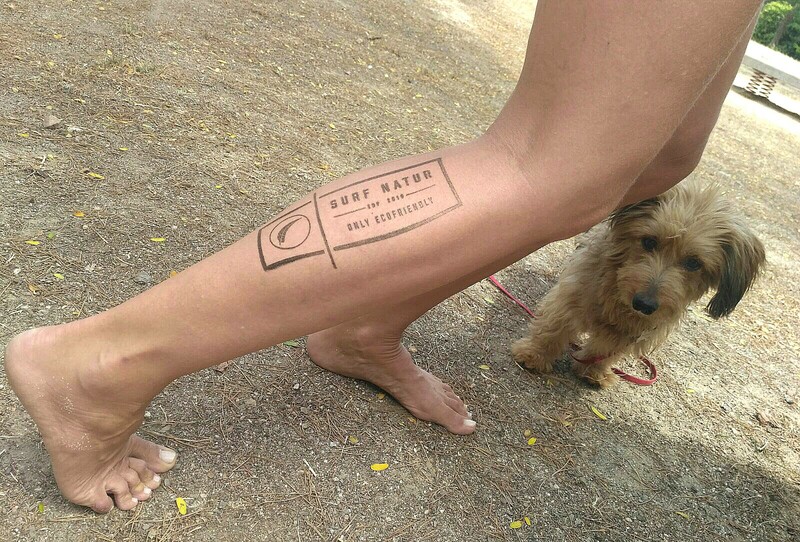 We were so excited about this knowledge that we decided to speak to the people of IWT (International Windsurfing Tour) and got Raw Love Sunscreen to become a sponsor for the event, thereby educating and keeping us and the nature around us safe. We also came across a very innovative brand located right in Paia. Ellemer we wrote a separate article on them check it out for a discount code. One of the brands we were very happy to find was was Green Toy. You can purchase them at the organic food market ¨Down to Earth” – really close to the airport and Kanaha beach. Being on Maui and having fun toys for the beach is imperative and these ones are made from recycled milk bottles, how cool is that, so we had to get in touch with the brand and test them out. Atlantis, our son, loves them, they are perfect for the beach and the bath tub. The boat even turns into a watering can. Chelsea suggested so many other local brands that are fully green-eco; on an Island you especially realise how important it is to consume less and make wiser choices. All and all we are so happy to have had the chance to experience Maui and visit its gems like Lumeria (best home made veggie burger I have ever tried), or the lavender fields, the local farmers market, also if you invest in a fruit picker and have a good eye you can eat fruit right from the trees, a must try the local banana bread on the road to Hana (We recommend you download a guide before heading out in the very early hours of the morning, as you will lose reception and there are many magical stops to make), taste the orange passion fruits and the delicious papayas, there is also a local Kombucha brewery in Haiku…but be warned too much kombucha and you might get a booch high as they like to call it (don’t drink and drive)……. Last but not least our favorite restaurants by far…. Nuka sushi in Haiku…. Go for the elaborate rolls…. And for a delicious organic pizza…. Flatbread company in Paia is the place to go! One really great insider tip: at the Kuau store, if you wait to the end of the day, you can get their Ahi Poke for half price, and it is DELICIOUS!! If you have been to Maui you know it isn’t cheap to eat…. So that is a good one…. Speaking of savings… It is absolutely worth it to get a costco card…. The gasoline is waaay cheaper and they have lots of delicious organic food in bulk! One more thing, don’t miss the sunsets on the south side of the island, or the sunrises for that matter, thousand peaks for example. So many things pop into my mind… Try the Açai at Choice, and the Fish tacos at the Fish Market….. It is a place to revisit for sure! 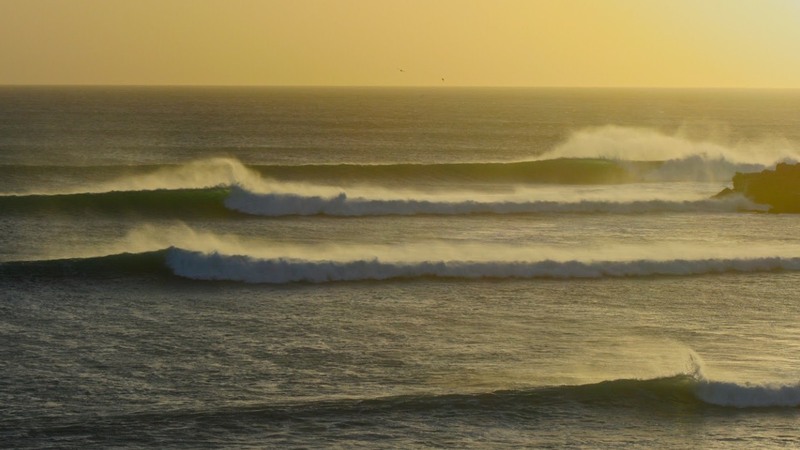 Thousand peaks is also a great spot to go surfing for anyone…. From beginner to advanced, there is a peak for everyone…. Hence the name. As for the windsurfing spots…. This island is a playground for all levels… . For the more advanced windsurfer you can pretty much find conditions at ho’okipa every other day… And for the not so skilled, kanaha works pretty much every day! Both places are about thirty minutes apart. If you are visiting maui with children we highly recommend the Maui Ocean Centre…. The tunnel is an experience to remember, especially for the little ones, and they have a lot of amazing info on helping and preserving marine life. To finish this article we wanted to share an experience we had: During the IWT Windfsurfing Competition, we participated in an ocean clean up: in Hookipa this can be tricky: We were only a few people and it was about to be cancelled due to the big swell that was hitting the spot. Both Boojma and me (Sanny) decided to do it anyway, and in the end most of the people decided to get wet and join us. We ended up collecting about 60 masts, and some booms, fins….. the point is if you are enjoying the island, leave it cleaner than you found it so that future generations can enjoy it as much as we did. For extra exclusive Maui tips….. feel free to write to us anytime at sustainablecouplegoals@gmail.com we may hand out a phone number or two! Thank you for stopping by our blog…..and feel free to leave comments and help us grow! 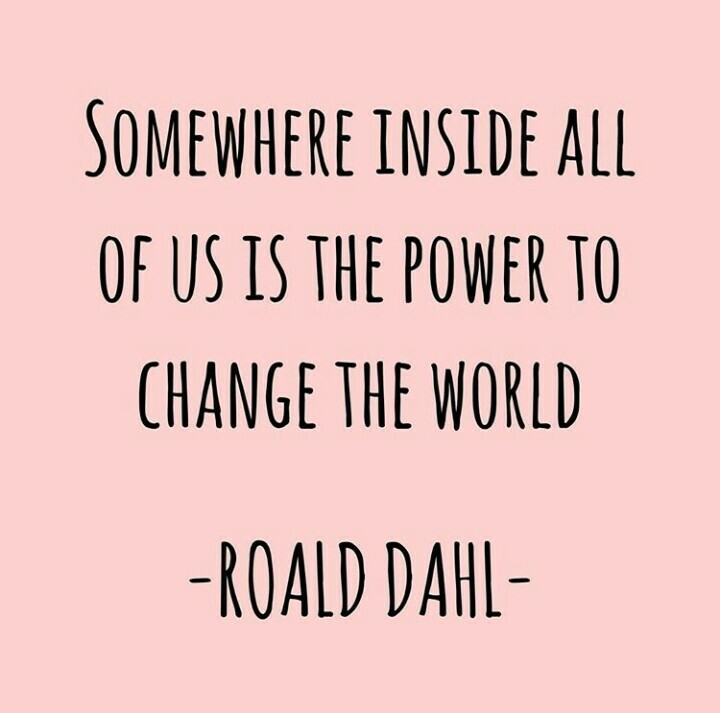 Thank you for coming back to our blog and helping us make this world a better place! We all love the ocean whether we surf, windsurf, kite, SUP or do any other water sports. It is true that there are still very few options for wetsuits and surfboards that are made organically but we have the power to change that! The way we do that is by supporting the companies that are trying to do things sustainably. The good news is there are many great emerging companies that are ran in an ethical fashion. I came across a wonderful store in Madrid that is doing just that. 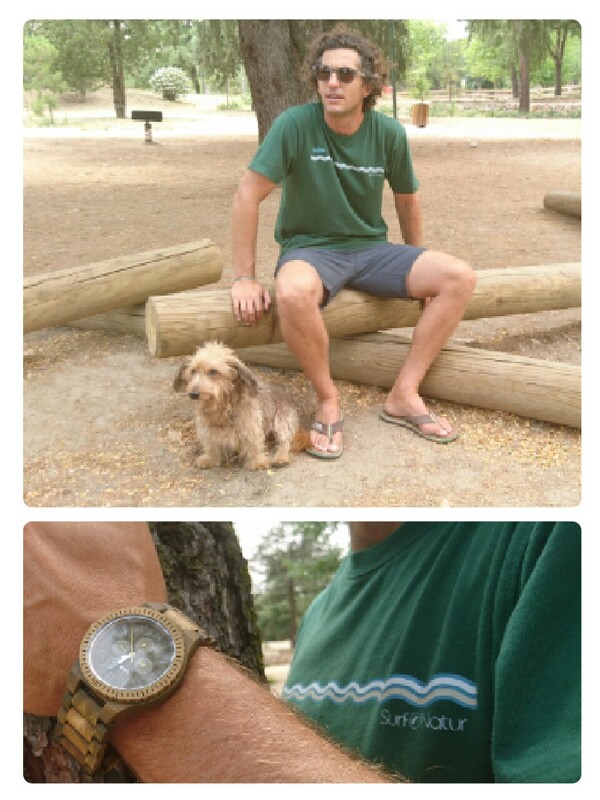 Providing us with ecological options for the water, from Patagonia wetsuits to recycled leashes, fins and sunglasses. How can we not stand behind that! A few other items that we really liked were the wooden watches and sunglasses made by Wewood. This company has already planted 400,000 trees and plans on planting 600,000 more in the next 3 years. We love this. 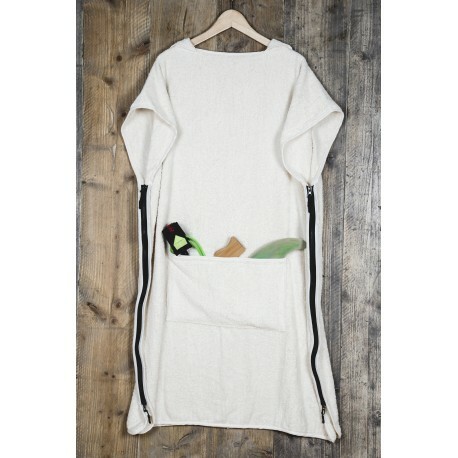 And last but not least we love Surf Natur’s own 100% recycled cotton t-shirt line and their very original poncho that converts into a towel. 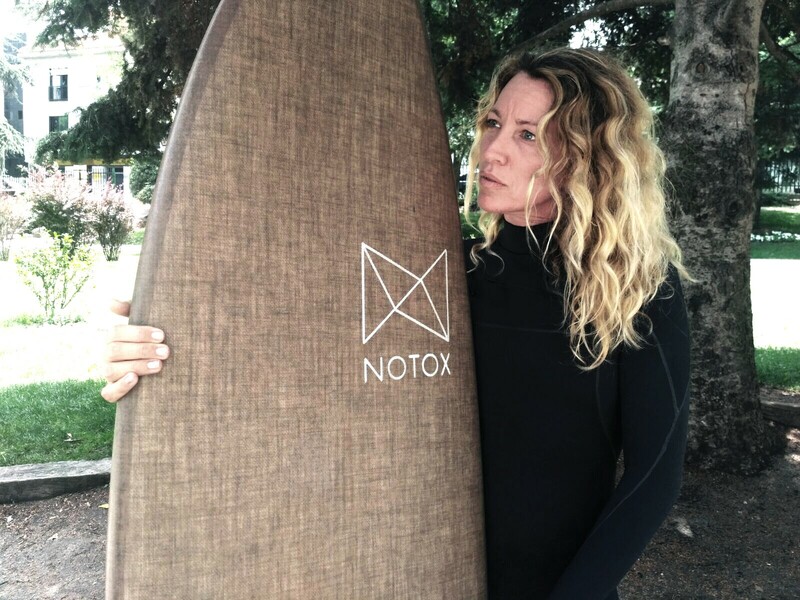 So what we propose next time you buy a new leash, some booties, a wetsuit, or anything you are investing in, to go play in the water….. just see if maybe there is a more sustainable option out there and that way maybe you too can help make a difference. I’ve got to run….. there are waves out there….. hope to see you in the water.